You Call That a Theme? Last October, Dan Coren, Penn’s Village member and volunteer, talked about J. S. Bach’s masterpiece, the Goldberg Variations, to a delighted audience. On this occasion he will show how Beethoven took the seemingly simple idea of Theme and Variations and transformed it into his vehicle of choice for expressing his most profound musical thoughts. 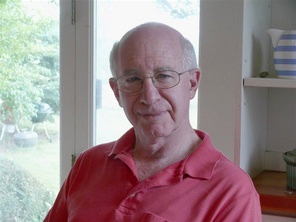 Dan, a classically educated musicologist, came to Philadelphia in 1969 with a Ph.D. in music history from the University of California at Berkeley to join the music faculty at the University of Pennsylvania. Dan left academia in 1977 for a career as a software developer (a choice that has been of great benefit to Penn’s Village). He retired in 2009. Dan has been a member of the University of Pennsylvania choruses since the year of his career change and was a regular contributor to the music section of the on-line arts journal The Broad Street Review since its inception in 2005 until early 2012. We will meet on February 1st at 2:00 PM at the Academy of Vocal Arts, 1920 Spruce Street. Please RSVP by calling 215 925 7333 or emailing info@pennsvillage.org. The venue is handicap accessible. Let us know if you would like to use this amenity since it is a separate entrance. We would very much appreciate a $5 donation from attendees who are not Penn’s Village members or volunteers, payable at the event.